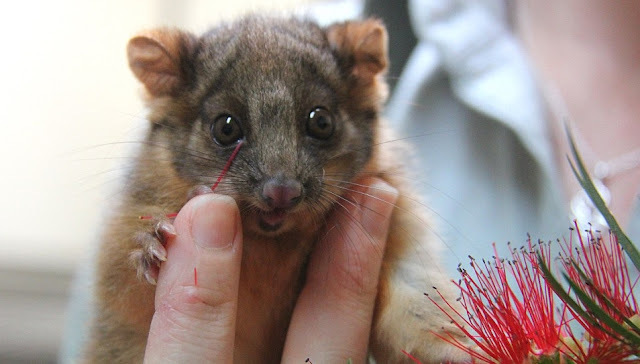 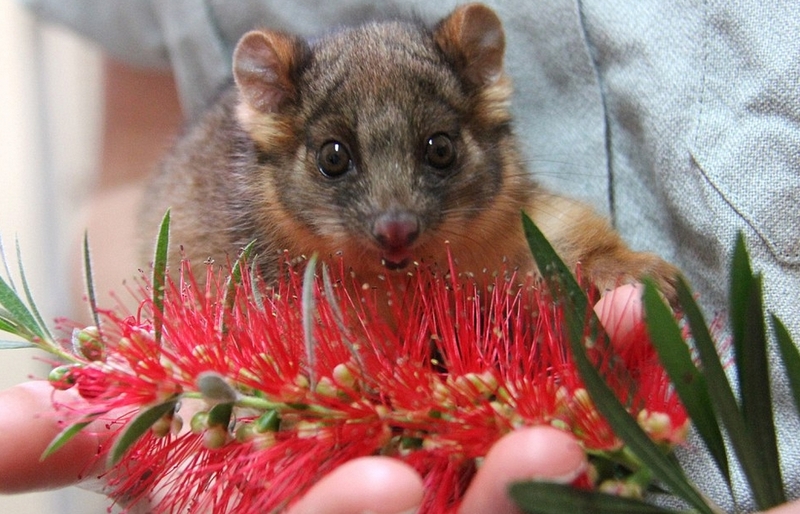 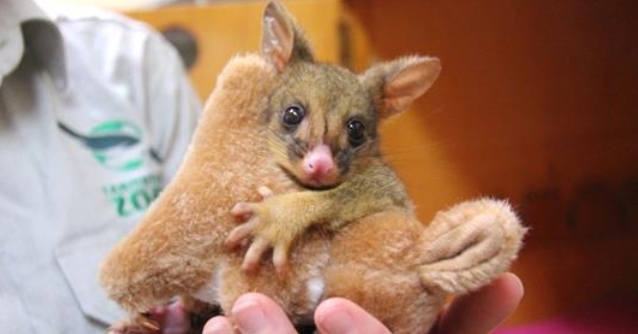 An adorable orphaned Brushtail Possum joey is getting much needed care and attention after being found alone and dehydrated on the side of a residential road. 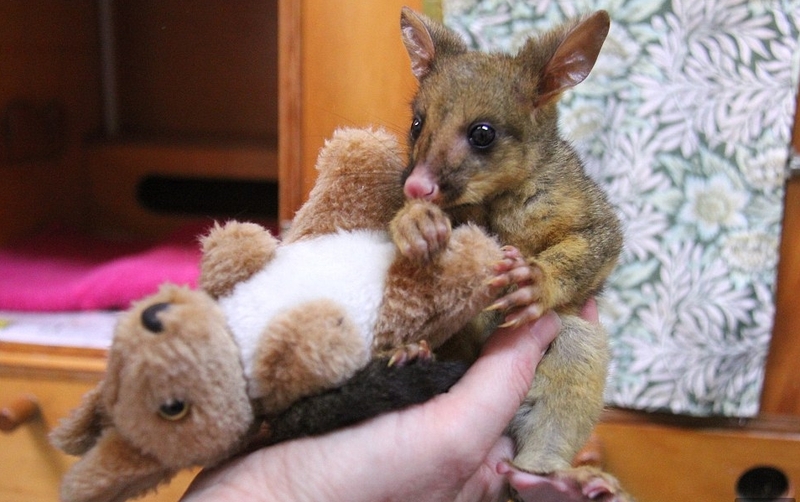 Bettina, the female joey, was found on the side of a residential road in Mosman, on Sydney's lower north shore and taken to Taronga Wildlife Hospital to receive emergency first aid in early September. 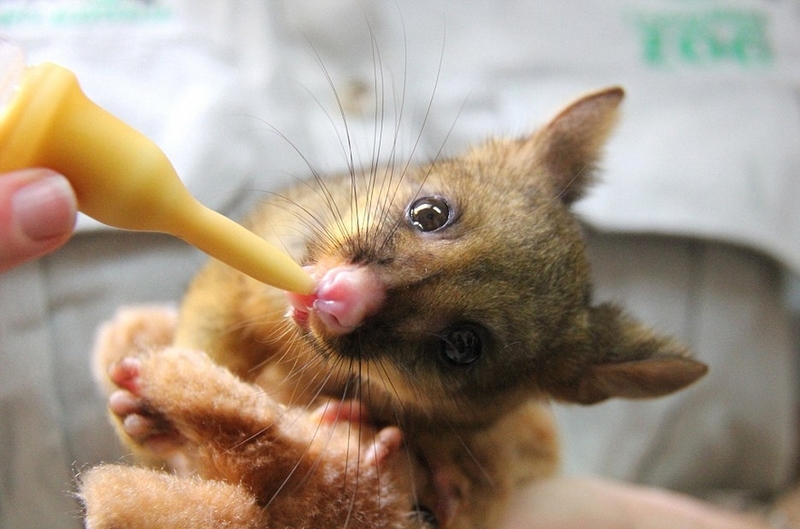 Since her arrival, the joey has made a good recovery according to her round-the-clock carer and surrogate mother, Wildlife Hospital vet nurse Felicity Evans. 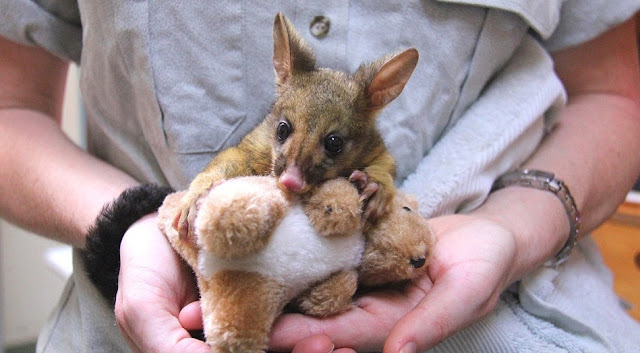 Ms Evans said that at her age possums would still be with her mother and that the soft toy gives her something to snuggle with for comfort. 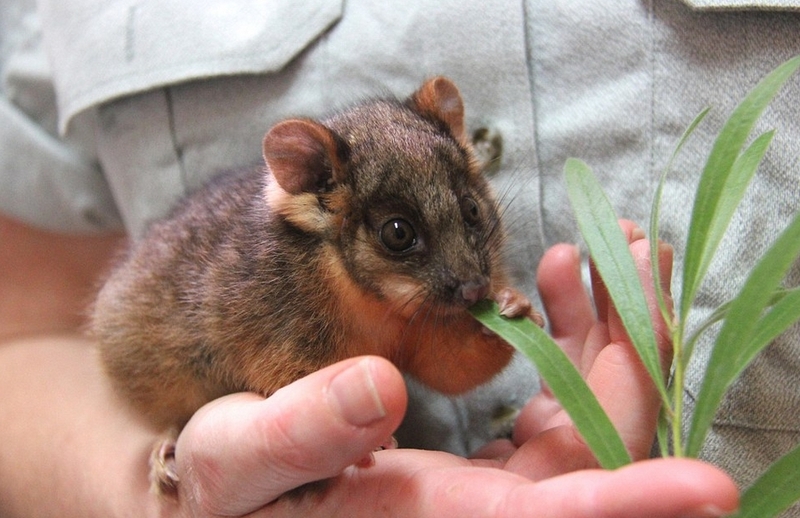 'It's not as fluffy and woolly as an adult Brushtail Possum, but she clings to it using her claws and teeth as she would do with mum in the wild,' said Ms Evans. Responses to "Orphaned Possum Adopts Toy Kangaroo After Losing Mum"